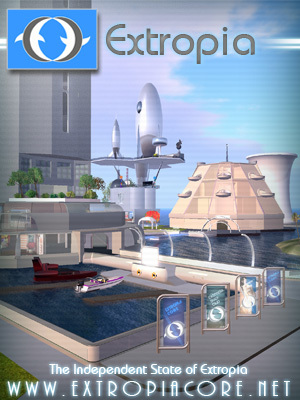 Extropia celebrated its first year on the grid in traditional style, with a blowout dance party! For six hours we filled the sim to capacity, rocking out to DJs GoSpeed Racer (GoSpeed, you saved our lives! We owe you bigtime! ), Seven (“It’s Not an Extropia Party Without Him”) Shikami, and our awe-inspiring late night delight, DJColdFront Revolution. The party was a wonderful chance for the Board to say “thank you” to the Citizens and friends who’ve built our community from one very bare grid of floating hexagons to a six-sim architectural marvel and thriving community of terrific people. 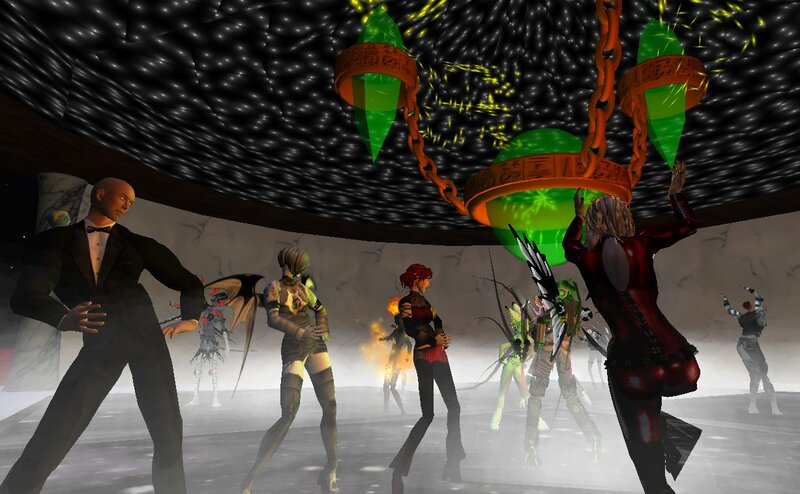 While we’re about to contract down to three sims, thanks to Linden Lab’s openspace pricing changes, our second year will bring more and better gorgeous futuristic design, a renewed calendar of quality events – and of course, plenty of parties! Stay tuned for notice of a sim tear-down party, and mark your calendars for the Solstice Gender Freedom Day 12-hour bash, December 21! Lots more party photos on Soph’s Flickr account, and on Boc Cryotank’s as well!